Case Provide their customers in the Sligro stores in the Netherlands with high quality Guest access. Objective Provide the Sligro shopping formula with branded guest access, allow special offerings to be shown on the landingpages. Offer advanced historical and real time analytics. 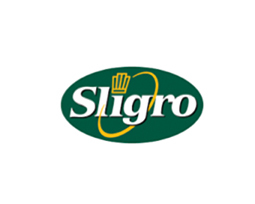 Result Our Gatekeeper platform enables Sligro Food Group to communicate and interact with the customer. Insights in visitors and their behavior are made available per store via our marketing analytics dashboard: number of visitors, concurrent users, dwell time, loyalty (returning visitors).